so you can pop out. Get domestic cleaning from reliable specialists today. Oops we can’t seem to recognise your postcode please fill out the form below and we will be in-touch to discuss your requirements. Please fill in the required fields labelled with a red star. When choosing a cleaning service, no doubt you are seeking one which is reliable, trustworthy, flexible and professional. Across the Daily Poppins network we aim to provide this and much, much more. All teams are fully trained in our cleaning system using only the best quality branded or eco products to clean your home. We supply everything, so you don’t have to worry! Daily Poppins has developed a national business specialising in cleaning private homes and small commercial properties to an exceptional standard and at an affordable price and with complete flexibility. We recognise that most people lead busy lives. For this reason, we try wherever possible, to accommodate your cleaning needs in the most flexible way possible. 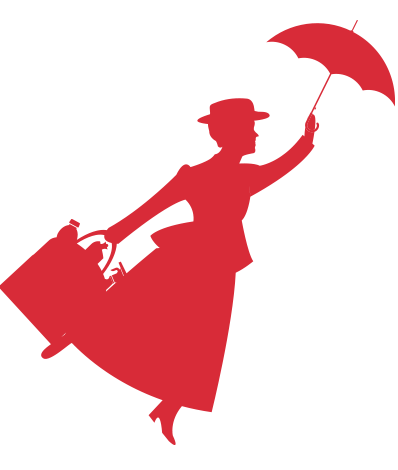 Daily Poppins are one of the UK’s largest and fastest growing domestic cleaning companies. Are you a conscientious employee? Can you produce quality work consistently? The Daily Poppins network caters to various types of customer, find out more about our various services below. All teams are fully trained in our cleaning system using only the best quality branded or eco products to clean your home, and get the job done well! Daily Poppins franchisee's have been fully trained and Approved by Rug Doctor to use Rug Doctor Pro carpet and upholstery equipment in your home. Daily Poppins can clean your office or commercial premises on a daily or weekly basis, customising a cleaning plan to match your exact requirements. I was impressed by the quality of the service you provided at such short notice, arriving when you said you would, performing the work cheerfully and maintaining my house to the standards I have come to expect. I have for the first time used Daily Poppins services today and am absolutely thrilled with the results. Every penny was well spent. What a lovely feeling coming home from work knowing I didn't have to do the housework! Every surface sparkling bright and the whole house smelling clean. You have worked really hard. Thank you so much. I am very glad I found you ! !